At Eckert's Greenhouse, we are committed to providing every gardener with the highest quality and selection of plants and flowers possible. We carry over 1,000 annuals, a huge selection of herbs and vegetables, and all the rare exotic plants you need to make your garden one of a kind. When you're ready to create the garden of your dreams, the first step is getting some expert help! Eckert's has everything you need to start your in-ground or container garden today! We'll give you tips on how to grow stronger plants and help you get more fun out of your gardening projects. Our friendly garden pros will answer all your questions and help you find exactly what you need to get your project off the ground -- from soil, mulch, and fertilizers to flower baskets, vegetables, and exotic plants, we have everything you need to create a stunning garden and landscape. Since 1957, Eckert's Greenhouse has been known in and around Mount Clemens for our huge variety of plants. From the rare and unusual, to the preferred and popular, we deliver the best plants and supplies around! Create a stunning outdoor environment by choosing the right plants for your garden. Choosing the right plants for your garden's location is important for plant health. Sun loving plants won't tolerate a shady garden -- too much sun, however, can be damaging for other plants. Our staff will help to educate you on the proper care for your plants and how much sun they should be receiving. 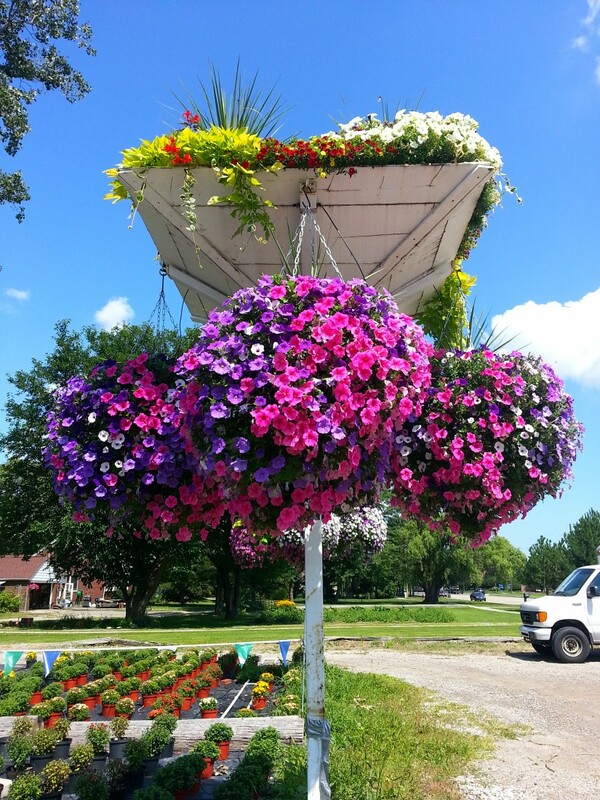 Add a splash of color to your patio or yard with our selection of pre-planted flower baskets and gift items! Our plant and garden experts use companion plants to create mosquito repelling planters. Combining different colors makes for a fun, eye-catching basket on a patio, but a bold and single colored hanging basket can be striking. No matter what your needs, our staff will give you the important tips and tricks you need to keep your plants thriving. Mount Clemens Garden Supply - Soil, Mulch, Fertilizer, and More! Come in to Eckert's Greenhouse for quality soils, mulch, and fertilizers that will get your garden off to a great start and keep it thriving. We've chosen to sell Jack's and Espoma fertilizers because they're some of the best quality and more effective around. We use them in our own gardens at the Greenhouse and in our homes! These carefully formulated fertilizers provide optimum nutrition for your plants and flowers. You'll get huge blooms and a great harvest when you use the right fertilizer and growing techniques for your plants. Our friendly garden pros will answer all of your questions and help you find exactly what you need. 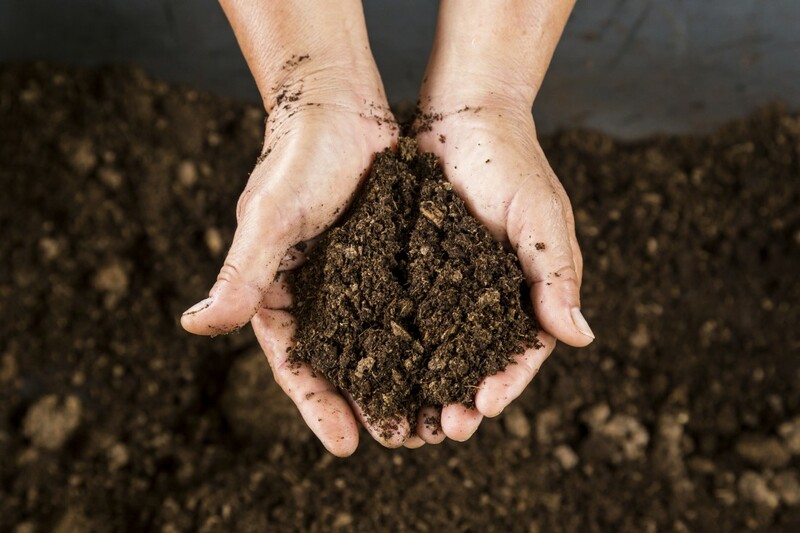 Our garden-tested soils and mulch are carefully chosen to provide what you need within your price point. The USDA had assessed that 140 million acres of milkweed have been lost over the last 16 years, roughly 3x the size of Illinois! Monarch butterflies are an important pollinator, but as numbers decrease, our ecosystem weakens. To offset the loss of milkweeds (Asclepias) and nectar sources, Monarch Watch (University of Kansas) has created the "monarch waystation" program. Our mission has been to protect monarchs from the loss of milkweed in our community. We became a monarch waystation and we regularly host pollinator education events to bring education to home and business owners, schools, and our community at large. You can help preserve the beautiful monarch butterflies by creating your own monarch habitat! Our staff will help you to select the right plants for your home, school, or business. We will have a variety of milkweeds and nectar plants available for you to choose from as well as a sample garden plan and the waystation guidelines.